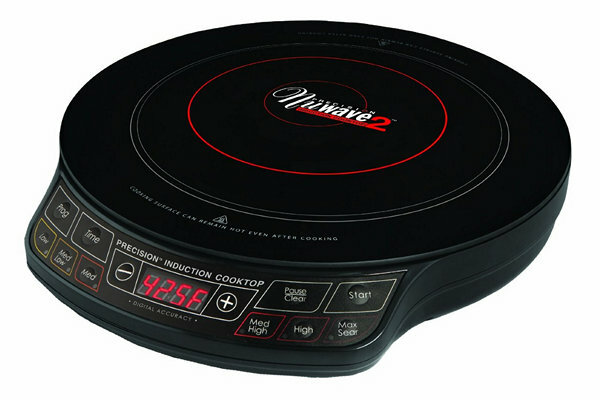 I recently received a NuWave Pic2 (Portable Induction Cooktop) to review, and let me say right off the bat that everything they show in the commercials is true. It heats quickly, you can set a precise temperature, the temperature stays steady, and the cooktop stays relatively cool. It gets a little warm because it's in contact with a the pot that it's heating, but it's not like an open flame. The controls are simple to figure out, even if you never read the manual, or if you don't use it often. This would be great for a place where you don't have a stove - a dorm room, for example. I'm sure you can think of other examples. 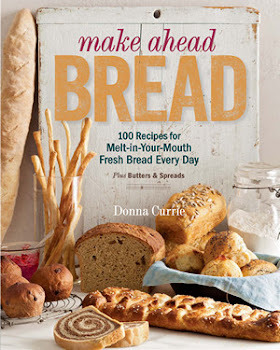 But, what if you have a fully-equipped kitchen? Why would you want this? 1) An extra burner. It happens to me all the time - I've got potatoes on one burner, a vegetable on another burner, a frying pan on another burner where I'm going to sear a steak, and I've got gravy in process on another burner. Then I need to work on dessert. And I need a burner to cook the custard, so I start juggling things on and off burners. This sort of thing happens when I'm just cooking for the two of us, but it's much more likely when I'm cooking for company or working on some sort of blog project. Just like I sometimes wish I could grow a third arm, there are plenty of times I wish I had just one more burner. 2) Cook away from the stove. There are times when I've got something blasting away in the oven, and at the same time I have something on the stove that needs constant stirring. In the winter it's not such a bad thing, but when the temperature heats up, it's nice to be able to move away from the oven. It's also handy when you've got helpful guests. You can tuck someone out of the traffic pattern, arm them with a spoon, and ask them to stir the pot on the induction burner. Meanwhile, you can manage the rest of the stove without bumping elbows with your helper. 3) Take your cooktop with you. You know what it's like - you're invited to a potluck party and you want to heat your food at the last minute. Your host might not have a spare burner, so you can bring your own heat. If you want to keep your food warm for the duration of the party, but a slow cooker doesn't make sense, you can set the induction cooktop to a low temperature, and put it on the buffet table with your pot on top. Of course, you need an outlet to plug it in, but you'd need that for a slow cooker too. If you ever have a need to do a cooking demo, or you want to take your cooktop with you to your getaway cabin, an induction cooktop can travel with you, no matter if you're driving or flying. Some demo venues won't allow an open flame (like a propane burner), so the induction cooktop is a good choice. 3) Set a precise temperature. It's hard to set a precise temperature and keep it there on most standard stovetops. For delicate cooking, the induction cooktop lets you set the temperature for a bare simmer or a keep-warm setting for a sauce. You can crank the heat up to 575 degrees for a fast, hard sear. Whatever you want, you get it. 4) Almost-unattended cooking. I wouldn't suggest that you leave the house with food on the induction cooktop, but you can program it for temperature changes or to turn off after a certain amount of time. You'd still want to monitor the cooking, but it's one less thing that would need to set a timer for. 5) Non-food cooking. Are you crafty? Do you need to heat things for your particular craft? You can move the induction cooktop to your craft room or garage to keep the crafts out of the kitchen. 6) Emergency cooking. It's happened to me. The stove dies, and I have to figure out how to make dinner without it. The last time this happened, I cooked a lot of food in the slow cooker, but the one thing I couldn't manage was pasta - because I couldn't boil water. And while the crockpot was fine for one-pot meals, it got tricky if I wanted to cook several things at once. With an induction cooktop, it would have been a heck of a lot easier to manage. 7) Sniff-sniff! What's cooking? Most people I know have some foods they like to eat, but they're not so fond of cooking them. Fish is one culprit, but other folks feel the same way about cabbage or liver. If you've ever done any pickling, you know that boiling a vinegar mixture can be pretty strong, too. So, why not move that cooking to a better location? 8) Got game? If you've got a game room, finished basement, man cave, or bar area, maybe a portable burner makes sense for heating hot chocolate, making snacks, or keeping a pot of mulled wine at serving temperature. 9) Testing induction. If you're thinking about a kitchen remodel and considering a new stove with an induction cooktop, it might be a good idea to try a portable induction cooktop to see if you want to commit to a whole cooktop. The one downside (that I know of) to induction cooking is that not all cookware works. So, you can test all your cookware and see if it works. And if not, you can decide if you'd be willing to stop using the cookware that doesn't work on induction. 10) The big reason - if you're a blogger - is that you can move your heat source closer to your good light. Many bloggers I know will say that the light in the kitchen isn't good for photos, which makes it difficult to take nice photos of things cooking on the stove. With the NuWave portable induction cooktop, you can move your cooking to any stable surface near your "good light" area. Even if you're not showing the pot on the stove, it's great if you want photos of something hot in photos - like when you want to show the steam rising from a cup of soup, or when you want to drizzle chocolate sauce at exactly the right temperature. So that's my top ten - what do you think you'd do with a portable induction cooktop?